WildlifeDirect’s signature Education and Outreach program, Wildlife Warriors is an education program that introduces Kenyan children to endangered wildlife through a nationwide program targeting public primary schools. We are leveraging the Safaricom 2018 calendar and use companion activity books and learning materials, activities and field trips. 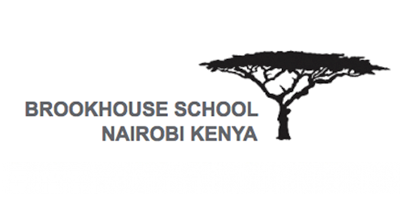 The project is in its first year of implementation and we are working with 33 schools in Kenya. Through the program WildlifeDirect takes children between eight and twelve years old to the national parks and reserves throughout Kenya. WildlifeDirect hosts camping trips each year for select number of children where they learn about the environment, critically endangered species inhabiting the parks and the conservation efforts of scientists and communities in and around wild life. Many children in Kenya, especially those in informal settlements, have never seen wildlife or been to any of our national parks and reserves. Wildlife Warriors seeks to engage these children by developing learning materials such as research and activity books to educate children about different species of animals. Through citizen science, WildlifeDirect connects children to their wildlife and nature and inspires them to value and act to conserve it. Through technology and science the children in turn nurture their desire to want to share this information with their peers, parents, teachers and larger community. The program’s aim is to create a generation of Wildlife Warriors; young advocates and champions of conservation who meaningfully work within their communities and contribute to sustainable and responsible solutions to matters effecting the environment, conservation and human wildlife conflict. 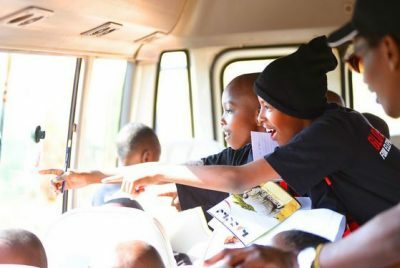 WildlifeDirect is publishing wildlife books that allows children to learn about the different species of wildlife and what they can do to help conserve them. The project is still in its early stages and we are working with Storymoja who have already published the Wildlife Warrior Passport, Elephant Fact Book, Elephant Activity Book and Wildlife Warriors Teachers Guide. 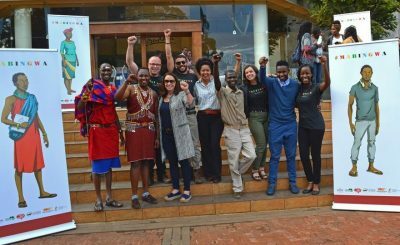 As part of citizen science approach to experiential learning, WildlifeDirect has launched an innovative called ‘Kids and Goats for Elephants’ led by Dr. Paula Kahumbu and Prof. Thure Cerling a distinguished professor from the University of Utah. WildlifeDirect is engaging 450 students from M-PESA Foundation Academy in the collection of data which will entail analyzing the chemicals in goat’s hair to generate a map that will allow children to participate in forensic science and identify the source of seized ivory while learning chemistry, geography, geology, ecology, conservation, agriculture and climate change. WildlifeDirect takes ninety children to Samburu National Reserve in Kenya to celebrate World Elephant Day 2016. Dr. Paula Kahumbu (center) with the characters from Mabingwa and filmmakers. 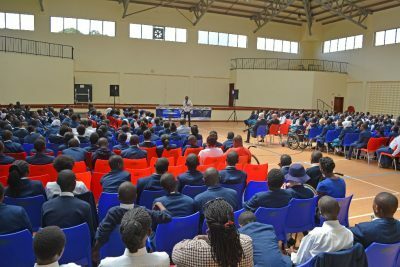 WildlifeDirect partnered with The Escape Foundation and Brookhouse School to screen the film to 390 school children from Nairobi. 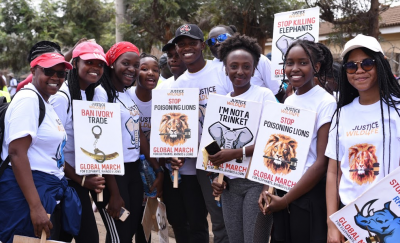 Youth participating in the annual Global March for Elephants, Rhinos and Lions that brings over 3000 people to the streets of Nairobi to lend their voice to saving endangered species. 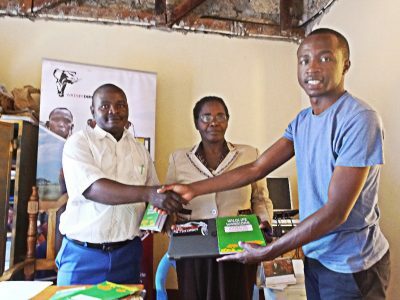 Vincent Ontita, Education and Outreach Manager, hands over a laptop and other resource materials to the deputy headteacher and Wildlife Warriors club patron of MCK Kagurini Primary School in Tharaka Nithi County. 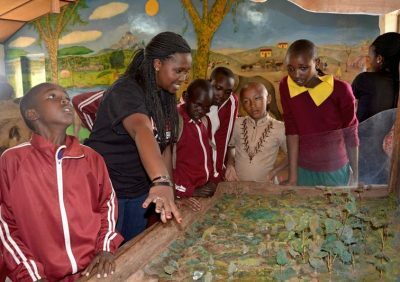 Esther Ngei, WildlifeDirect Education and Outreach Intern (in black t-shirt) with students from Ol Gir Gir Primary School during a tour at the Lewa Conservancy. Vincent Ontita at M-PESA Foundation Academy briefing the students on the Kids and Goats for Elephants project. The project is being implemented by WildlifeDirect in partnership with University of Utah. 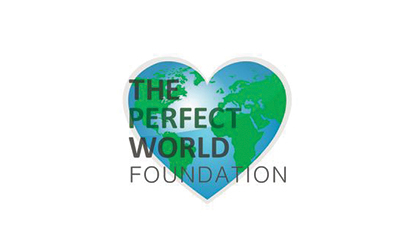 The Education and Outreach Program is a partnership between WildlifeDirect, Mpala Research Center, Storymoja Publishers, Brookhouse International School and the 33 primary schools in Kenya, and is generously supported by The Perfect World Foundation, Safaricom PLC, Siemiatkowski Foundation and Individual donors.